No bones about it... Optuno's the cat's meow of website design. Let’s face it; our pets are members of our family and we want to give them the best care possible. Just like doctors, the way a vet presents themselves is important. No one wants to go to a doctor with their shirt half tucked in, or one with an old, clunky website for that matter. 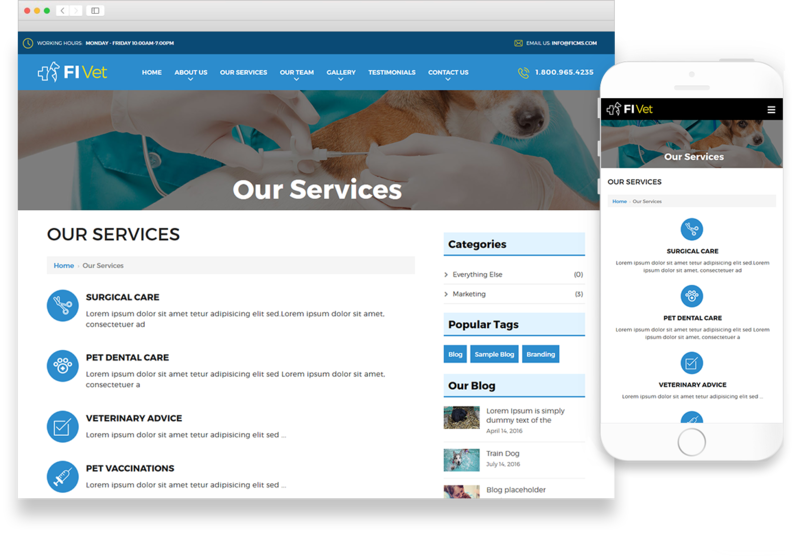 We look for professionals that look and act the part and that can be the deciding factor between scheduling an appointment or moving on to the next vet. 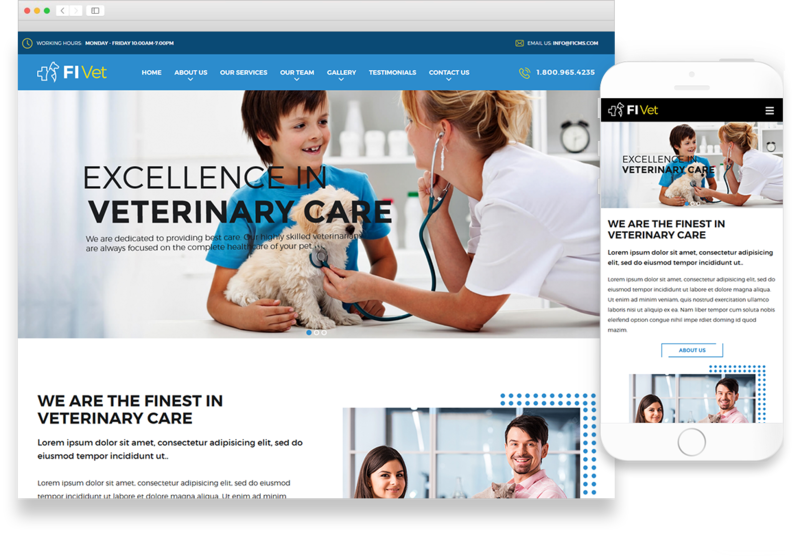 This theme will surely get your potential clients’ tails wagging.